It's not about your age it's all about your style and self-confidence. In today's article we are about to see must-have wardrobe items for women who are over 50. If you are over 50 years old, then believe me, there are no big changes to be made in your everyday outfits. I think no age should be marketed. Sure our bodies, faces and even lifestyle changes a bit over the decades, but fashion choices a kept up. I am not talking about trends, I mean our personal favorites and fashion tastes. Anyway, here are shown all my favorite Polyvore sets that will make you look and feel awesome this year. Read on to find out more. Don't forget to let me know your thoughts in the comments below. This outfit looks office-friendly. 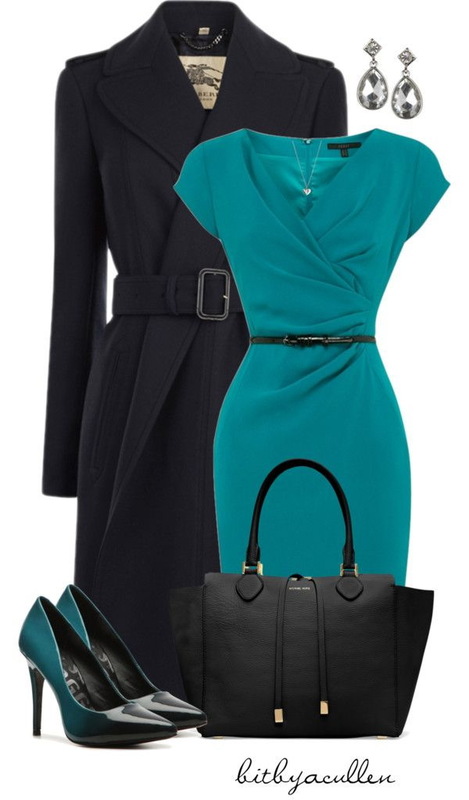 This is an ideal look for business ladies. 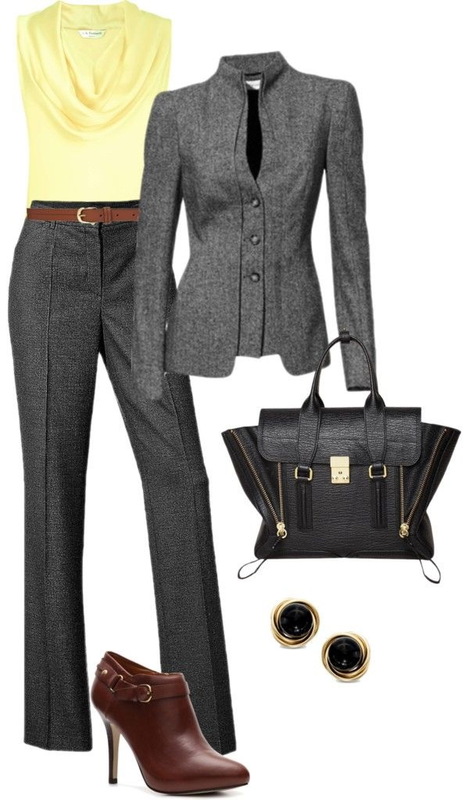 We see a tailored pantsuit worn with pale yellow slouchy neck top, pointed-toe ankle boots and cool black leather handbag. First of all, dark denim, high and mid rise jeans is a perfect choice for those who are not confident with their legs and silhouette. These bottoms are universal and can be styled with almost everything. 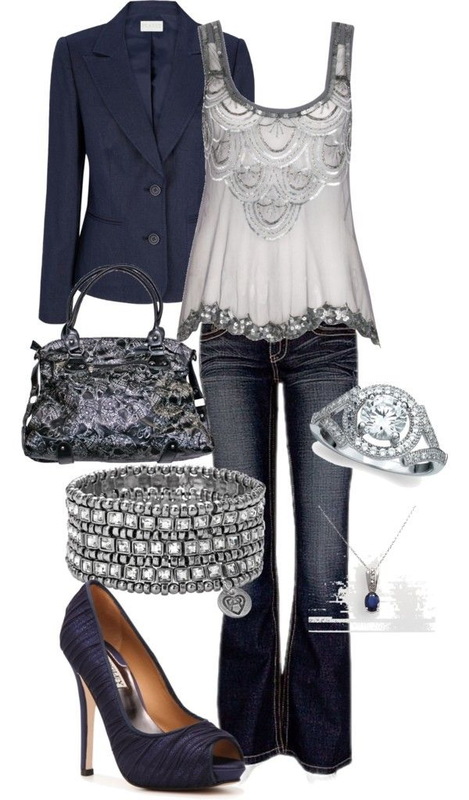 Personally, I recommend to buy dark blue styles and avoid fading or whiskering designs. If you are into white jeans, then I recommend to try on bootcut or straight leg styles that can be teamed with navy jackets and black tops. The cut of the pants is crucial and the length must be exact, I mean you need a perfect fit that can be worn with all your favorite boots and pumps. 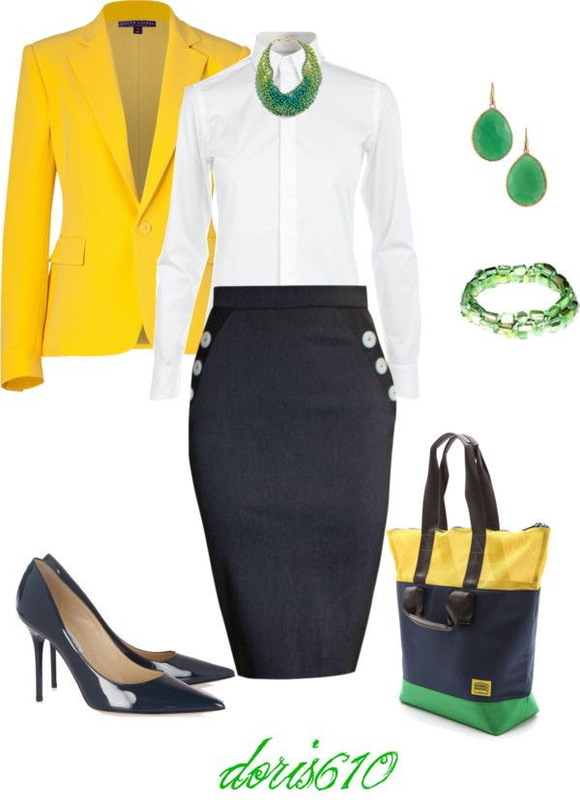 If you work in the office, then I recommend to keep your look professional by adding pencil skirt. Why? It's versatile, stylish and flattering, no matter what is your body size. It's very important to buy knee-length or slightly shorter version. Avoid too tight styles. Speaking of knits, then your best friend is cardigan. This is a year-round piece that will cover your arms and make you feel cozy. Speaking of dresses, then you can go for wrap styles, sleeveless sheath designs that are ideal for sporting with cardigans and fitted blazers, as well as fit-and-flare frocks. 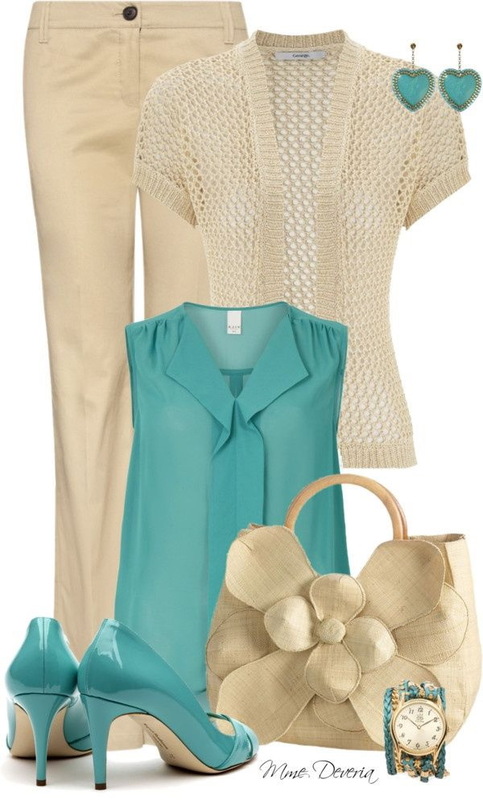 Don't be afraid of mixing and matching your lovely everyday clothes. Anyway, read on to find out more.